The following freestyle dance moves will teach you how to freestyle dance to any popular song or beat. Free style dancing is very interpretative. However, it is a good idea to learn some fundamental steps to start with before you can really personalize it and add your styling to it. The most important thing is to keep a base timing and tempo. 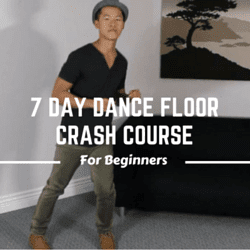 in this video the dancer explains how to use a very simple move to freestyle dance at any party or club. 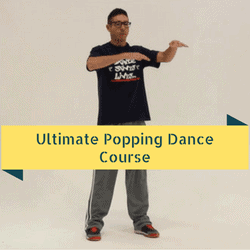 Learn how to dance easily with moves that you can use at clubs, parties and weddings. This course is perfect for absolute beginners who want to look “natural” on the dance floor. This video course has 7 modules with +3 hours of video instruction. Delivered through instant downloads. Step touch is one of the most iconic and simple dance moves out there. In this video Brian shows you how to do a variation of that same step that you can use when dancing freestyle. 1. Find the beat of the song first. Once you found the beat, just start nodding your head to it or stomp your foot to it. From there you can add moves. 2. Don’t be afraid to try new movements. You got try in order to learn! Try stomping to the beat, how about a wave on some part of music where it fits, it can be anything. Just give it a go. 3. Learn many different style of dancing – The more variety of dance steps you know, the more moves you will have for your free style. Learn how to dance hip hop and study some Tap dance steps to broaden your knowledge. Did you like it? Please leave a comment below and share with your friends.